Collection of 16 hard-to-find tracks including demos and live tracks bookending their U.S. breakthrough album Teenage Symphonies To God! When Rhode Island’s Velvet Crush appeared on the scene in the early 1990s, they were obviously a force to be reckoned with. Signing with England’s Creation Records (Oasis, My Bloody Valentine, Teenage Fanclub), they released their debut LP in 1991. But, it was 1994’s Teenage Symphonies To God (the title being a play on Brian Wilson’s description for what would become SMiLE) that put them on the map. Co-produced by the legendary Mitch Easter, it opened America’s eyes to what those over the pond were so wild about. But, what was the genesis of that record? 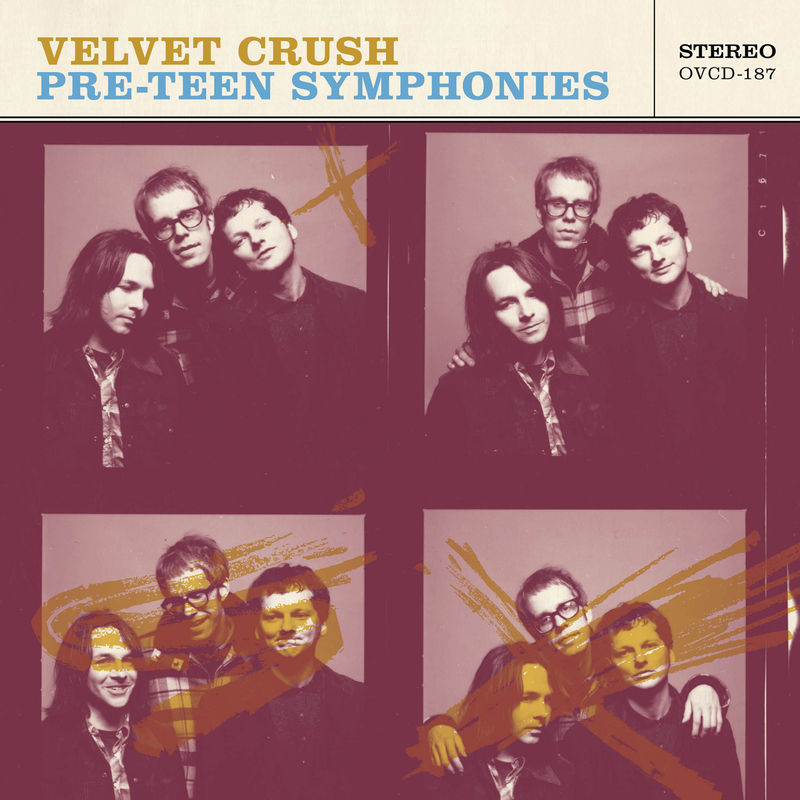 Find out with Pre-Teen Symphonies, a collection of 16 recordings from Velvet Crush previously available in a very limited quantity from the band’s own Action Musik label. 8 demos (including one for the classic single “Hold Me Up”) and 8 tracks recorded live in 1994 at Cabaret Metro in Chicago. As the band proved the past was the future by taking elements from classic ’60s melodies, ’70s power pop, and ’80s reinvention, Pre-Teen Symphonies is a unique look into the development of a classic, and the live power that drove it. Find your path with Pre-Teen Symphonies.